If you were considering enlisting the service of an animal companion for a medical reason, particularly, a psychological or mental condition, an emotional support animal can help alleviate your symptoms and improve the overall quality of your everyday life. An “emotional support animal” is defined as an animal that provides therapeutic benefits, comfort, and emotional support for an owner with a psychiatric or mental condition – such as PTSD, depression, or anxiety – and aids them to function normally by easing the conditions’ symptoms. They can even be recovery pets for former addicts. One example of a circumstance that makes an emotional support animal’s service valid is if a person diagnosed with Generalized Anxiety Disorder needs to remain calm in public areas. The emotional support animal can relax their owner’s nerves by their presence alone when the owner begins to feel anxious or highly-stressed, which lowers the chances of them suffering a sudden panic attack. Lastly, any domestic animal can become an emotional support animal, and are not limited to being only cats or dogs. Upon first impression, it may seem that an emotional support animal and a service animal are the same animal – but in actuality, they are drastically different from one another! As mentioned before, emotional support animals can be any domesticated animal, but service animals are strictly dogs. Furthermore, an emotional support animal’s duties are limited only to providing emotional and psychological support, while a service animal both eases psychological discomfort as well as physically assists their owner with a disability. An example of a person who needs a service animal is someone with a chronic condition like cerebral palsy. Their service animal helps them with tasks that are sometimes difficult to do on their own such as pull out their wheelchair or reach for medication. The legal rights and laws of service animals are protected under the Americans With Disabilities Act (ADA), which enable them to be present with their owners at all times. Emotional support animals can only board an airline with their owner or be an exception for housing accommodations that have a “no pet” policy. Public areas, such as restaurants, do not have to allow emotional support animals into their business. An emotional support animal must be licensed, and the owner should always have physical proof of one on them at all times. Unlike a service animal, an emotional support animal is not required to wear a vest, but it highly recommended that they do. Regarding a current issue today, the title of “emotional support animal” has been abused on multiple occasions by individuals who simply want to take their pet with them wherever they please. As a result, many complaints have been made in airports against so-called “emotional support animals” who misbehave and cause disturbances on the flight. Emotional support animals are necessary companions for some people, and registering a normal pet as an emotional support animal should always have a medical reason. Otherwise, doing so causes great harm to those with legitimate disabilities. One can register their animal as an emotional support animal under the recommendation and approval of their medical provider. Emotional support animals do not require formal training of any sort, but it is imperative that they be obedient, have a good temperament, possess adequate social skills, and are house-trained. If not, an emotional support animal can become a nuisance or threat to others. Pets are wonderful creatures, and it’s incredible that they can also be a service animal or emotional support animal. If you have any psychological or mental condition, an emotional support animal will only be of great benefit to you. Aside from being a supportive animal at the end day, they also become a lifelong friend. Bio: Trevor McDonald is a freelance content writer who has a passion for writing and is currently writing for Sober Nation. He’s written a variety of education, travel, health, and lifestyle articles for many different companies. In his free time, you can find him running with his dog, playing his guitar or outside enjoying about any type of fitness activity imaginable. Ready to learn how to talk to animals? 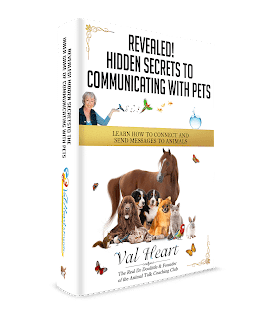 Get your Hidden Secrets to Communicating with Pets free ebook at https://www.LearnHowToTalkToAnimals.comand find out how now!